Once we heard the name of Thailand, for many of us, the first thing that comes to our heads is the capital city Bangkok with crazy parties seen in the most popular movies. However, in this remote Southeast Asian country, we can see much more than all night working bars and partying people. Today, let‘s travel to the north of Thailand and let us tell the story of the five must-visit places in the region according to Travel Ticker. Chiang Mai is the largest and probably the most important city in the area. 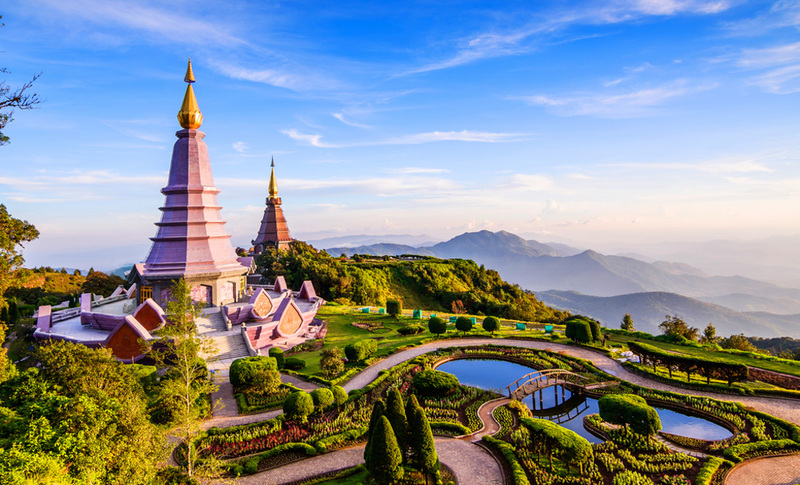 Here you can find more than 300 temples, of which the most eye-catching one is the gold shimmering Wat Phrathat Doi Suthep. About one of the most famous houses of worship you can learn from almost every elementary student in Thailand. Here, every year during the most important religious festival, thousands if not millions of pilgrims flock to worship their gods. To be fair, the city has way more than just beautiful temples. Locals say that if you haven’t tasted a traditional dish of Khao Soi and haven’t seen the nearby established Doisuthepujo National Park, that means that you have not been to Chiang Mai at all! 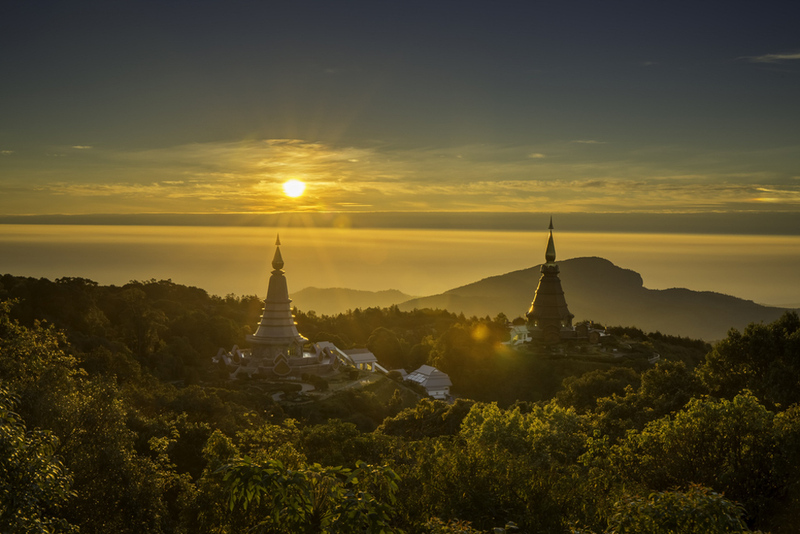 Doi Inthanon National Park is famous, first of all, due to the highest in the country mountain with the same name as the National Park, which stretches up for 2576 meters. The park is worth visiting not only for the breathtaking views, seen from the record-holding peak but also beautiful waterfalls – Mae Klang, Mae Ya, and Sirithan. We would strongly recommend visiting this amazingly huge park in the spring when it all gets covered with pink cherry blossoms. 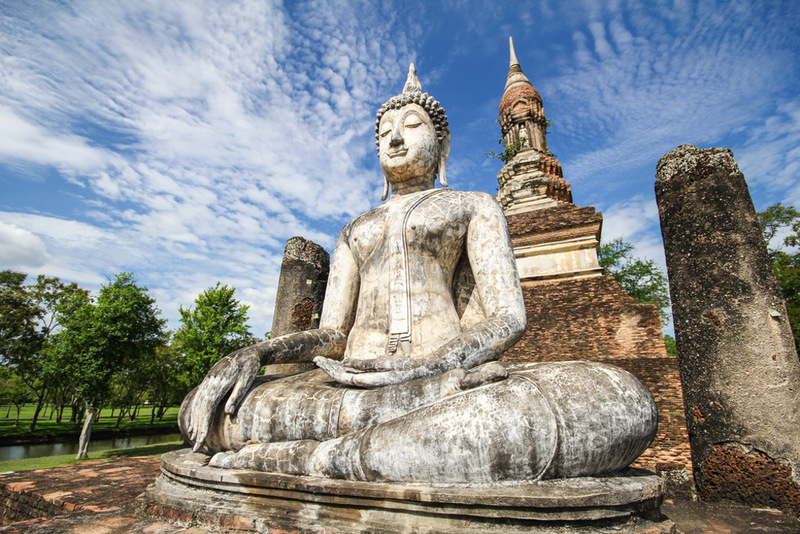 A trip to Sukhothai town can seem to feel like a time traveling: once you are here, you will feel and see how Thailand looked like about 800 years ago. The former capital of the country has lost its importance, but in the local historical park perched ruins leave no one indifferent: ancient and beautiful temples with nearby standing massive Buddha’s sculpture; canal bridges and the Old Palace, although are very much dilapidated, still stands with greatness. Ideally, the historic town of Sukhothai should be toured not by walking, but by cycling – in order to save time. If you still cannot travel without partying a little bit, check out the Pai town. Even in such a calm oasis you can find many bars offering live music and various drinks which will be affordable for every pocket. 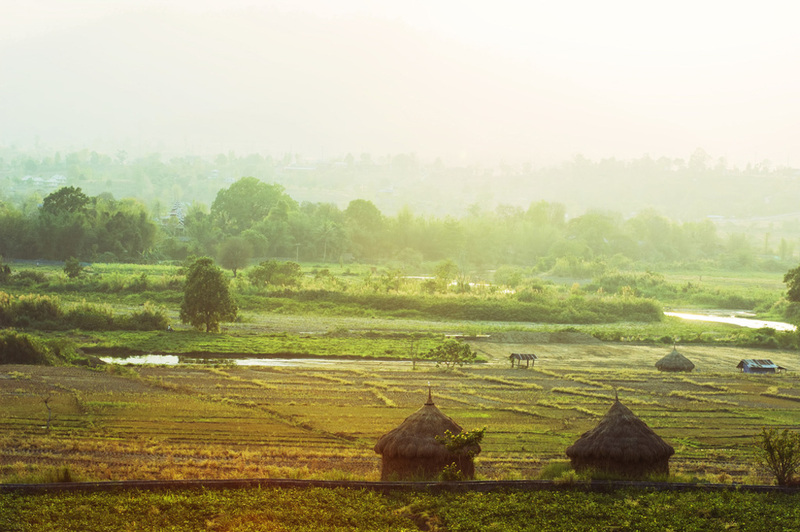 To be fair, Pai primarily is known for its beautiful nature and tours where you can indeed enjoy the outdoor: elephants watching, climbing to spectacular mountains or extreme swimming in the river. 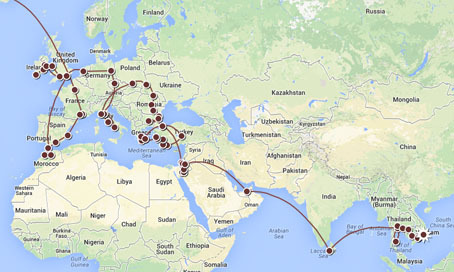 It is not surprising that this particular city is often crowned as a backpack travelers’ paradise! 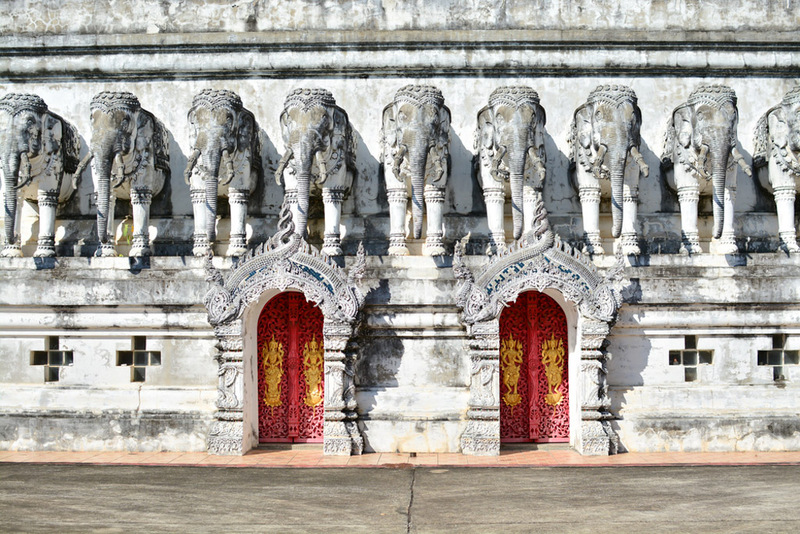 Phrae city usually does not fall among the most popular Thai touring routes. That is why here you will meet far fewer tourists than in other places in the country and can get acquainted with the real, quiescent pace of local life. While examining the city be sure to check out the Khum Chao Luang residence, which was visited by the royal family of Thailand, and a little bit further away from the city located Wat Phra That Cho Hae temple.